Since Pharaoh is already dead, and so is Haman, and so is Hitler, the UN’s steering committee was forced to come up with a living, breathing Jew-hater of impeccable credentials. So the UN ran its annual hate-Israel dinner and dance gala and needed a speaker to wrap it up and go medieval on the Jews. The shindig is called “The UN International Day of Solidarity with the Palestinian People” …a day like any other day, actually. Nothing new under the sun or at the UN. More to the point, for three days they meet to polka and give every member a chance to really rub it in, and the Secretary General himself remarked that it is time to “create a Palestinian state with its capital in Jerusalem.” Everybody understands this for what it is – code for the destruction of Israel…the only thriving and glorious democracy in the entire Middle East. To be replaced by “Palestinians” who exist in no history books…and never asked for Jerusalem until the Jews took it back. The Bible never mentions them and even the Koran never heard of them. Even the Beatles, as we once wrote, preceded them on the scene. They are a collection of tribes who came up with the word “Palestinian” because it sounded good, and then introduced hijacking, suicide bombing and lately murder by car ramming. To name but some of their tactics which gained them the approval and admiration of every Secretary General, including this one. This one read from something like Mein Kampf…to thunderous applause. The blood libels kept rolling, but they needed someone to sum it all up. The world is full of them, but, as to its keynote speaker, the committee (as I imagine the scenario) wanted someone you’d least expect to be a rip-roaring anti-Semite. 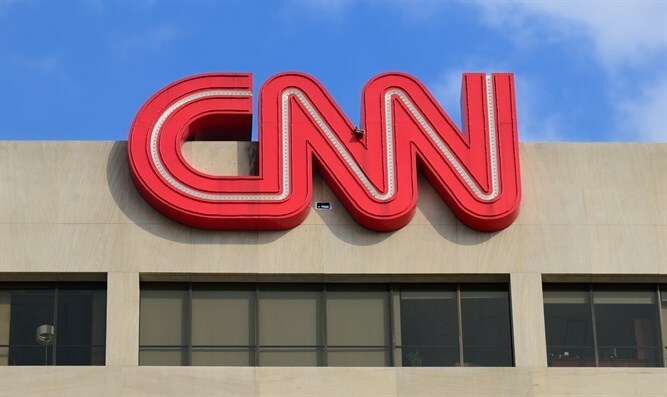 The list was whittled down, naturally, to the news media…and then further down to CNN. Plenty to choose from over there, all agreed, but what to do about Wolf Blitzer. He is Jewish. Not anymore, someone cracked – and everybody laughed. When Marc Lamont Hill’s name came up, he being a CNN expert on everything, and known to go brothel on America and Israel, they got serious and most raised their arms to affirm him as their choice to talk their kind of talk. A few, however, were naively dubious. He is African-American, after all, and no leading Black Person would ever speak ill of the Jews….at least not publicly…short of Farrakhan. Leading rabbis marched with Martin Luther King. Jews died for Black Civil Rights. Read this. “Not even yesterday,” another smirked to nodding heads. Someone else noted that even with Jewish support, as in money, blood and sympathy for the Black Cause, anti-Semitism is higher among Blacks than any other group. Amazing…but a win for us, they chuckled, slapping each other on the back. So Marc Lamont Hill was chosen – and he did not disappoint. It is not necessary to quote him…other than to remember him, for all time, as calling for the elimination of Israel. Enough to know that whatever parts of Mein Kampf were left out, Lamont picked up. Enough to know that through such putrid talk, such baseless acrimony, such perversion of the truth, Marc Lamont Hill stamps himself a genocidal bigot and a discredit to his race…the human race. He has blown his cover for himself, for CNN, for the news media all over, as anything resembling justice and decency. Quite the contrary. Now…caught red-handed, he got fired. But his message lives on. Consider him a find. Finding him is like finding a single cockroach and knowing where there is one there must be millions more crawling around. Finding him is like finding a single cockroach and knowing where there is one there must be millions more crawling around. So consider ourselves warned and alerted. There are more where he came from and so it is our duty to never falter in our love and support for Israel. In fact, it is time to double down. The Israelis…this generation arisen from the dust to brighten the Land and be a light to the nations, deserves our unqualified commitment to its continued success. The fight has just begun. At least it never seems to end. 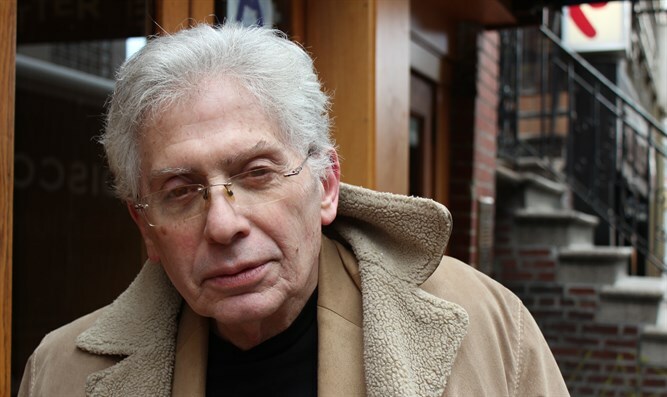 New York-based bestselling American novelist Jack Engelhard writes regularly for Arutz Sheva.